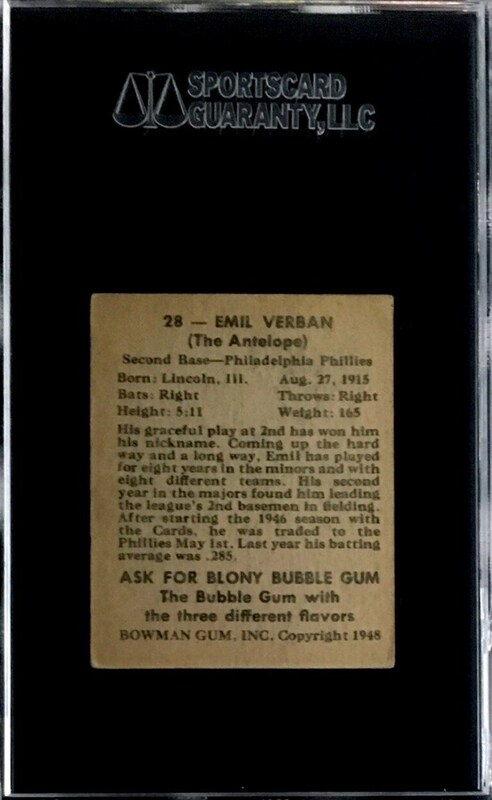 Up for your consideration is a 1948 Bowman #28 Emil Verban SP card. Verban was an All Star three times in his career and was a member of the St. Louis Cardinals team that won the 1944 World Series. 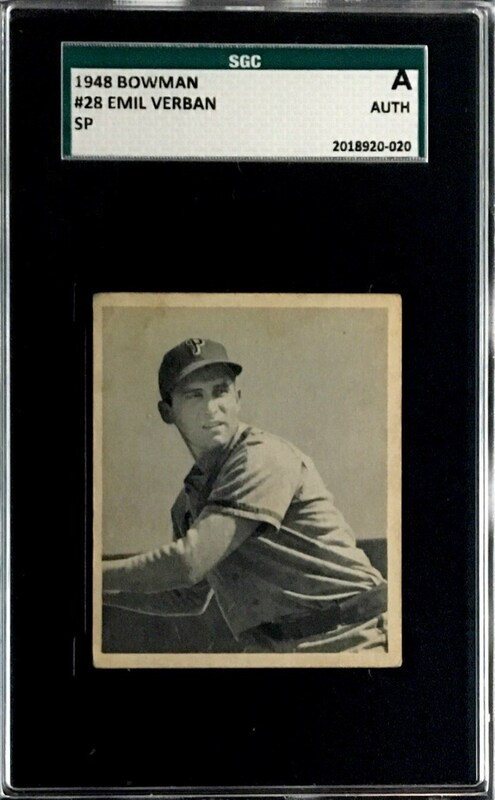 The card has been graded authentic by SGC.